The quality management policy of DHBVN (Dakshin Haryana Bijli Vitran Nigam) team commits itself to achieve excellence in power distribution in an efficient manner according to provisions of Quality Management System based on ISO 9001:2008. The mission of DHBVN is to aspire to be the best distribution utility in India by enhancing its technological leadership and ensuring consumer satisfaction. There has been steep hike in power tariff over the years by Haryana Electricity Regulatory Commission (HERC). This has affected residents living in HUDA sectors as well as other colonies. Due to power tariff hike, both the industrial and domestic sectors will have to shell out more money on electricity bills. 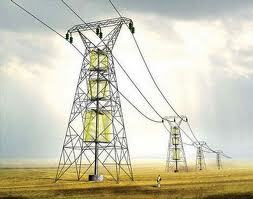 However, DHBVN has strived to supply uninterrupted electricity especially during hot summer months. To better equip themselves for any emergency, DHBVN officials have made efforts to curb losses. Distribution transformers are stacked in advance in case they are needed urgently. Dakshin Haryana Bijli Vitran Nigam is managed by the Government. There are power outages in Gurugram sometimes as average power load is about 700-800 MW with consumer base of 360,000.Most affected are the retired people who generally have a fixed income. There have been power cuts for around 8 to 10 hours also. hello sir, the electricity of my area is cut a no. of times .after the 4th cut electricity is not coming .su bhash nagar gurgaon gali no. 9.so i requested to give the light as soon as possible. Non of the number electricity board are functional, pathetic. Electricity is not vominh since 10am today. Pls help. i requst tu PM modi nd CM gurgaon yhan baris aane se phle aur baris k baad 5 hour abhi tk light nh aati..plz i want to be real Vikaas.. It been 2 hrs of power cut. There is no information regarding anything. temprture is so high at dis point of time. Pathetic situation. Even after charging more than enough on electricity, govt not able to give us proper supply. Very poor state of power supply in Palam Vihar, Gurgaon. There is ongoing cut since last three days. In some blocks of Palam Vigar, power failure since Saturday night with intermittent supply in between. No responsibility of the govt. Situation is like that of villages. Hi,Being one of the top cities of the country, why the condition of electricity is so poor here in Gurgaon. So frequent power cuts has made the life hell here. People from various parts of the country come here to work and help generate money for the companies as well as the govt., then is it not the responsibility of the govt as well as the electricity board to at least provide us the good power supply?There are so many complaints against the electricity shortage, why still no measures are taken to curb it?Dear Authority, please see the whole scenario and act to work for the people. Hi! Kindly contact the Electricity department and lodge your complaint. They don't tempt over phone. I wonder what kind of a smart city is this.. Even my village having population of 3000 is far better than this world class smart city..